15 LISTS Animal PlanetLists about some of the rarest, scariest, and most fascinating creatures that inhabit specific places around the world. List Rules Vote up the creatures you'd most want to avoid. Of all the creatures living in Louisiana, these are the most fearsome. Animals from Louisiana range from bugs that are smaller than an inch to prehistoric reptiles that grow to over 600 pounds. The creatures living in Louisiana include fearsome black bears and prehistoric-looking turtles, but the most dangerous creatures for humans are snakes, spiders, and insects. Particularly, the insects found in Louisiana can cause great harm to people by spreading disease and swarming and biting their human victims. Louisiana is also home to several creatures that seem harmless at first glance but are actually quite troublesome. For example, there is a giant swamp rat that poses a grave danger to the very land that the state sits on. While Louisiana is home to wondrous natural features, there are several creatures that visitors and residents alike should be wary of, so take a moment to get informed about these intimidating animals. 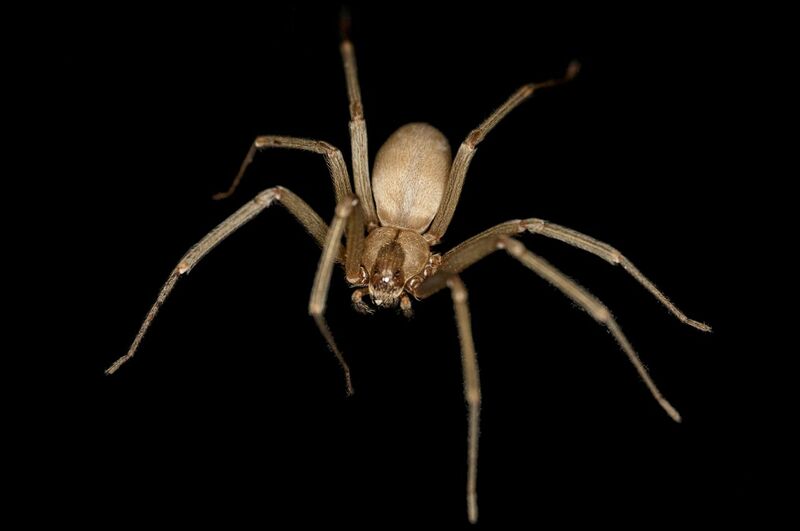 For a small arachnid, the brown recluse is a terrifying creature and Louisiana is covered in them. The spiders are fond of hiding out amongst clothes or even in bed sheets. Worse still, their bites result in people looking like their skin is melting off and have even been known to cause unlucky victims to lose an ear. More amazingly, the spiders can live for several years with no food or water just waiting for the right moment to sink its fangs into an unsuspecting victim and make its flesh rot. One of the things that can fill you with venom in Louisiana is the canebrake rattlesnake. Aside from having a name that rhymes, the snakes just hang out all spring and summer coiled so that they can spring at anything coming by that they might want to eat, which happens to be mostly rodents. Sometimes they show up under people's houses, like the 68 inch one that was found under someone's home in New Orleans. In fact, during Hurricane Harvey people were advised to be on the lookout for the rattlers as they would be coming out and possibly getting closer to human dwellings in order to avoid rising waters. The copperhead snake is a particularly scary beast. They stay hidden under leaves across the forests of Louisiana, mostly eating frogs or other small critters. Copperheads will grow from between just over a foot to four feet long. The snakes are relatives of the rattlesnake in the pit viper family. Generally, they don't bite unless they are stepped on, but they are common in the forests of Louisiana. Worse still, they share markings with other nonvenomous snakes and are easily confused with other snakes. Killer bees were first spotted in New Orleans in 2005 and they are terrifying. Although they are smaller than bees usually found in the United States, the bees are more aggressive. That means that even though the venom from both bees is the same, they will swarm in greater numbers than typical bees and sting in greater numbers. Aside from calling the exterminator, the best advice for encountering the honey-making monsters is to run, duck, and cover.